My Little Pony: Friendship Is Magic A Dash of AwesomeComes to DVD March 25! Attention My Little Pony: Friendship Is Magic fans: A Dash of Awesome is coming to DVD on March 25th, starring Rainbow Dash--the blue pegasus pony! The Friendship Is Magic television series is extremely popular in my household among my daughter and my sons--and it's colourful, witty and cute. I would especially recommend it for ages 4 to 8-years old. I was a self-professed My Little Pony fan in my youth, and on Instagram, I showed my daughter's My Little Pony collection of both old and new ponies (see below). Click HERE to follow SnyMed.com on Instagram. I've also written quite a lot about My Little Pony on this blog, including running contests for a My Little Pony Classic DVD Collection, My Little Pony Holiday & Christmas DVDs, and My Little Pony Pinkie Pie Party & Adventures of the Crystal Empire DVDs. I also spoke about the My Little Pony Equestria Girls Movie and vintage My Little Pony Pretty Parlor Commercial. "Rainbow Dash is one cool pony! She can clear the sky in “ten seconds flat” and create a Sonic Rainboom. But this pony also knows the importance of love, friendship and loyalty. Join Rainbow and her friends – Twilight Sparkle, Rarity, Fluttershy, Apple Jack and Spike on these awesome adventures! One thing's for sure: in Ponyville, anything is possible!" If you would like to try a Rainbow Dash paper craft, check out the one created by KNA. It looks like a lot of fun to make with the kids! You can download the full-sized Rainbow Dash paper craft HERE, and find assembly instructions too. 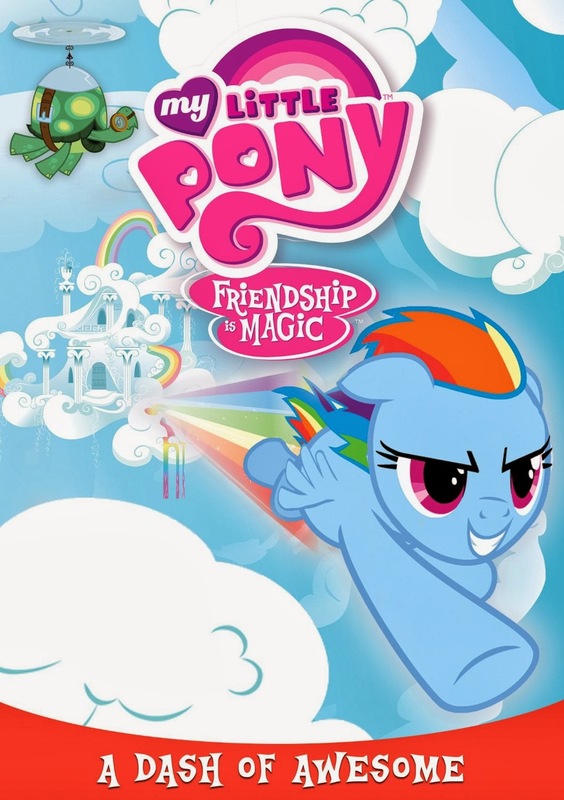 WIN 1 of 2 copies of My Little Pony: Friendship Is Magic: A Dash of Awesome from SnyMed.com! 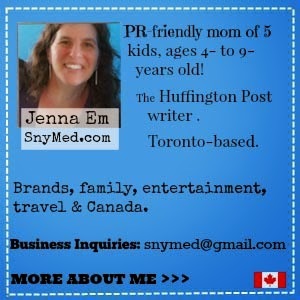 Contest open to Canada & the US, and ends on Monday April 14th, 2014. Leave a COMMENT below stating what pony is best in your mind: a regular pony, a pegasus pony (pony with wings), a unicorn (pony with a horn), or a pegasus unicorn (a flying pony with a horn)! Then, use the entry form below to enter the contest. GOOD LUCK! pegasus unicorn seems best - all the bells and whistles. Pegasus Unicorn - hands down! I like the regular ponies. A pegasus unicorn for sure - it's fully equipped! I like the pegasus pony! Years ago my daughter use to watch this show when it was on TV. I know a little four year old girl that would like a DVD like this one. My Little Pony continues to be such an amazing show ! I love fluttershy ! My Little Pony continues to be an amazing show ! I think a pegasus unicorn rocks! A pegasus unicorn. But if I could only pick wings or magic, I'd pick wings! A pegasus unicorn! If I could only pick wings or magic, I'd pick wings! pegasus unicorn. It can fly and do magic.